A Yankee ‘Bhakt’ of Modi? INDIA HAS NEVER SEEN A MORE ACRIMONIOUS and dirty political scene, starting with the 2014 Parliamentary election, which threw the dynasty-ruled Congress Party into the dustbin of history – at least for the time being. The foreign-born leader and her foreign-educated ‘young’ son leading the party were supposed to be ‘secular’, highly modern and progressive in outlook. An ‘obscurantist’, orthodox pracharak of RSS, Narendra Modi, led a ‘right-wing’ BJP, talking of such outdated issues like Ram temple at Ayodhya, to a convincing victory. The ‘old’ man expertly used high tech tools like like internet. Twitter, Facebook, WhatsApp, computer analysis and 3D hologram videos, while the ‘young’ Rahul Gandhi banked on his dynasty and tail-wagging sycophants around him. 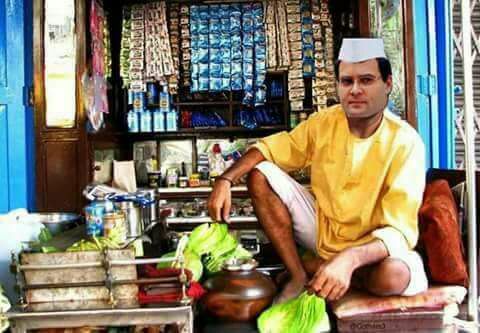 He became the target of hundreds of ‘Pappu’ jokes going viral, exposing his immaturity. 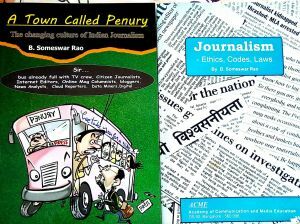 The jokes and use of technology were attributed to the Bharatiya Janata Party’s highly efficient propaganda machinery. Anyone who read the thousands of readers’ comments on news sites could see that many of the reactions to the Congress’ saga of scandals and the chorus of praise by ‘loyalists’ like ‘Diggy Raja’ Digvijay Singh could not be the work of paid propagandists. The election results showed that it was genuine public reaction. So the party of ‘dynasty devotees’ which appointed a paid non-party political strategist to direct its propaganda, coined a term to describe Narendra Modi’s supporters – ‘Modi Bhakts’. They compare Modi’s victory with that of Donald Trump in the USA. So when an American, Jason K, posted a strong defence of Modi, which went viral on social media, the dynasty-backers promptly dubbed him a ‘Bhakt’. The post is being reproduced here (emphasis added) for you to decide whether he is a blind devotee or a rational supporter. 2. Muslims don’t hate Modi. Educated intelligent non Muslims (read Hindus) hate him more! Simply because he has hijacked their agenda and has started influencing public opinion more than carefully crafted editorials or freebies doled out during elections. Armchair experts who discussed Indian politics over the ubiquitous cup of ‘chai’ are being given a nice proverbial kick on their rounded rumps. The man is shaping opinions and this isn’t being liked by sections of the media who were interestingly the same set of people who are still smarting from Brexit and our own Trump presidency. 4. I get a sense that a lot of Indians consider it a status symbol to oppose Modi, as it makes them appear intellectual and secular. Case in point was the CM of Delhi (along with a lot of intellectuals) who questioned his educational qualifications. But again (they) went completely silent when he was exonerated by the University that confirmed their authenticity. 5. Public memory in India is notoriously short. The 1984 carnage in which the martial sect of Sikhs were mercilessly slaughtered has been forgotten by the state of Punjab, which has today booted out the Akali Dal and brought in the Congress. I see that not only as an example of short memory, but also as a positive and mature sign, as a very corrupt (also dynastic) incumbent party was thrown out. But then if this is being welcomed by a lot of intellectuals, why is a section of polity so perturbed by the BJP getting substantial Muslim votes in UP? Just like how the Sikhs have forgiven the Congress, maybe the Muslims have forgiven the BJP! Mind boggling double standards… Like the Sikhs, why can’t Muslims also want good governance and development? 6. As the third largest economy in PPP terms, India stunned the world by pulling out 86% of its currency that was in circulation. While it is still debatable whether it was a good move (as an Economics major, am not completely convinced), the country seems to lap it up. My sense is not whether it was a good or a bad move; it was a VISIBLE move, which when you analyze with the BJP’s track record of no scams, seems to make Modi even more credible. 7. Where Modi lost the trick (in my opinion) is when he promised to put in a couple of million rupees in the accounts of the poor and underprivileged. And his promise of better days. That has backfired and seems to have given fodder to those who were expecting him to work miracles. And I am not surprised, since I do know that in the land of spiritual enlightenment, miracles are often expected and taken for granted. Finally, I know after what we did (remember Trump as POTUS), me as an American, may get laughed off by a lot of intelligent and secular Indians for my opinion. But I will still risk it. Give the man a chance! He is doing the right thing and has balls and guts and spine (to do it). The man did an open truck rally in the holy city of Kashi, for Christ’s sake ! Try walking in those bylanes (I speak from experience) to know how massively mental it really is. I had a memory of JFK in Dallas. One crazy sniper would have plunged your country into chaos. Be happy that it didn’t happen. And hope that it never does. Who knows it better than us Yanks, as we have had the maximum assassinations or attempts on our serving Presidents. Stop being fashionable and ridiculing those who support him. You may think it is cool to do so, but the joke is on you. Most of the country loves him. So while you could agree to disagree with his policies, what you don’t realize is that ridiculing his supporters only makes them more supportive. It’s just like how Android users ridiculed IOS as the worlds worst ‘closed software’. But the moment they opened their eyes to what the iPhone could really do, they changed not only their opinion, but also their handsets. Do you realize that when you speak to Modi detractors, (you see that) they completely lose their ability to be objective about their opinions? I have yet to come across one who is open to looking at Modi objectively and probably moving to the other side. However there are many Modi supporters I know who have criticized his policies and probably changed their allegiance. Wonder as to who the real ‘bhakts’ are — the ones who follow Modi or the ones who debunk anything and everything that he does? There seems to be no spirit of bipartisan acceptance at all. It was shocking that even the Army surgical strikes were debunked by a few political parties in India. Sorry folks, we know we have Trump, but even the most uneducated American would stand behind any President when it came to my country. I know America won’t be great again, simply because we are a great nation and will remain so. Trump will be gone in four years but Modi seems set to rule India for five years beyond 2019. Consider it your greatest fortune. Imagine a few more years of scams and a silent PM who couldn’t translate his extra ordinary brilliance and credentials into what could have been in my opinion the greatest prime ministership of all time. (Manmohan) Singh has a resume that could be the aggregation of academic achievements of 10 to the top of class Harvard graduates in any year ! Do read up about this extraordinary individual and the extraordinary and unbelievable set of scams that he presided over. Not because of his ineptitude, but the mind numbing control exercised by a dynasty who are now unwittingly destroying their grand old party. Sorry if this sounds like a diatribe, but I love India and all it’s people. It takes one look at Dr Shashi Tharoor’s speech at Oxford to realize that it’s not India Shining or developing. India is simply now regaining its rightful place in the world pecking order. And if you want to continue steaming ahead and getting there, the ‘chai’ seller of Gujarat seems to be your best bet. And God save you if you need a general election to choose him over the buffoon (sorry) who goes by the name of Rahul Gandhi. It is true that many ‘Pappu’ jokes are created by others, but they are there because Rahul gave scope for such jokes by his own utterances. The DDs (dynasty devotees) tried to popularise Modi as ‘feku’ but it did not stick. Only two groups circulated anti-Modi comments on social media – the Congress propagandists and those whose only objection is to Modi’s religion.